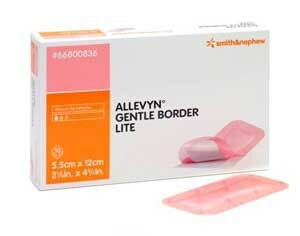 ALLEVYN Gentle Border Lite is a Foam Dressing manufactured by Smith & Nephew, a leading medical supply company of wound care products. 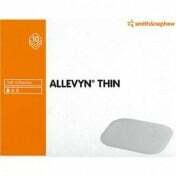 Smith &amp; Nephew ALLEVYN Gentle Border Lite Foam Dressing combines a lighter foam that is conformable and comfortable to wear with the gentleness of a silicone adhesive border. This Smith & Nephew Foam Dressing causes only minimal pain on removal due to the gentle silicone adhesive border. 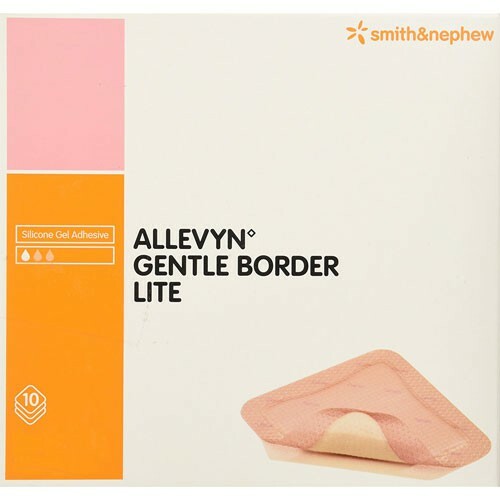 ALLEVYN Gentle Border Lite Wound Dressing is available in a range of sizes to meet the needs of a specific wound size, ALLEVYN Gentle Border Lite is ideal for patients with fragile skin who have low to moderately exuding wounds. 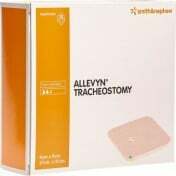 This ALLEVYN Foam Dressing fits the wound better thanks to a slimmer foam core to provide dressing conformability. Reduced pain on dressing removal. Better fitting and comfortable lite dressing. Ability to lift and reposition the dressing without losing its adherent properties. 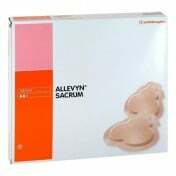 Border molds to fit awkward body contours and difficult to reach wounds. 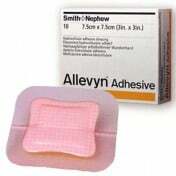 Provides fluid management to provide a moist wound environment. Highly permeable waterproof outer film enables patients to shower while wearing the dressing. Five sizes: from 2 x 2 Inch to 6 x 6 Inch. HCPCS codes: A6212 & A6213. 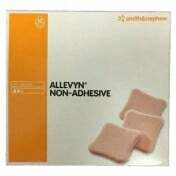 Allevyn makes some of the best wound care products, but like most good wound care items, they are expensive. Vitality has the best price we have found and they have a good selection of different types. This is an excellent product and I got it much faster than I expected. Thanks! These are excellent to use in wound care. They are easier to "peel & place" than others and protect the surrounding skin around wound. 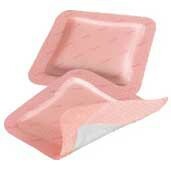 They are also pretty absorbent but are somewhat pricey as are most really good wound care products. The peel back adhesive covering is easier to use than three other brands.